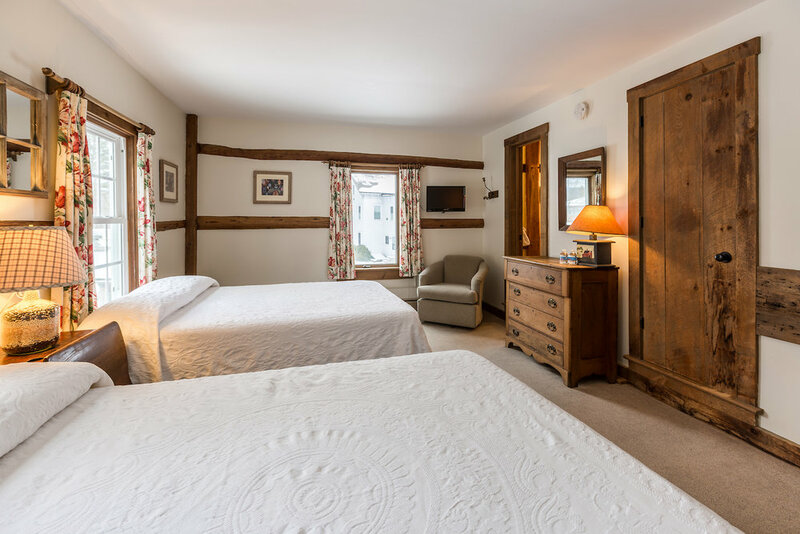 Our Inn boasts large, clean, comfortable rooms. Each room is individually decorated and packed with amenities at an affordable price! Rooms & suites have either a king, a queen or 2 double beds. All have private bath, cable TV, air-conditioning, individual thermostats and free wireless Internet access. Find Dorset Daughters soap, lotion, shampoo, and conditioner complimentary in all of our rooms. 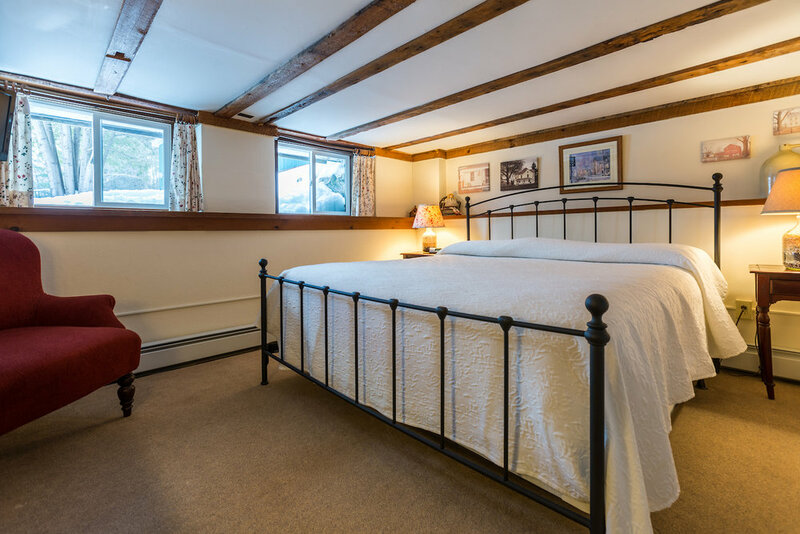 This is a very popular guest room with a king bed, private, original tiled bath and private entrance—named after America's artist, Norman Rockwell. Mr. Rockwell made his home and studio in Arlington, Vermont, located just nine miles from the Inn. Rockwell used many local people in his illustrations of Hometown America. This is our largest lodge room. In it you will find a very comfortable wrought iron king bed. The room also has a flat screen TV, ipod dock, hand laid bluestone floors with native rubble stone fireplace. In the bath you will find hand laid tile, Vermont bluestone floors. The room is named after one of the best clear water fishing streams in Sandgate, Vermont, a stream where you can take your kids fishing. I can show you where it is. But, I can't show you where I fish. The Battenkill River guest room is a two room suite named for the famed Trout fishing stream. (The West Branch of the Battenkill River flows past the Inn). The bedroom is king bedded and private. 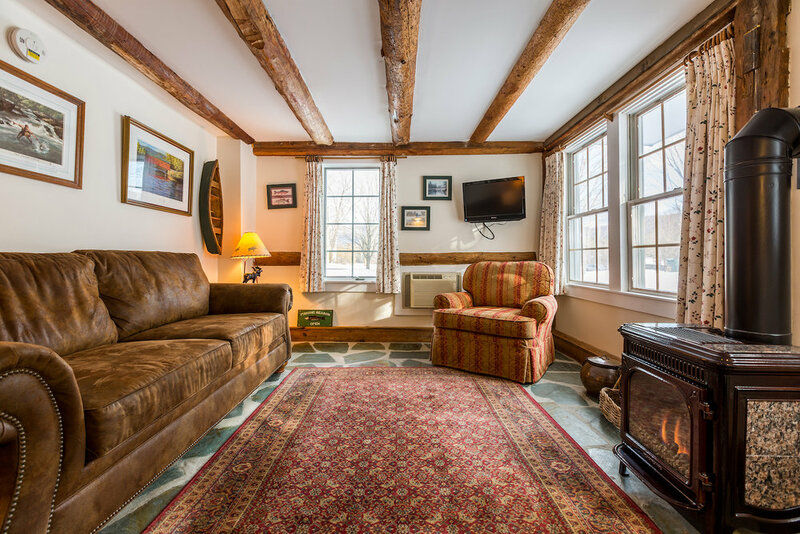 The room has a private garden entrance and its very own sun room with gas fireplace, comfortable seating and great Southerly views through the apple orchard and across the old trout pond to the mountains beyond. There is a private bath, two flat screen TVs, refrigerator and microwave to enhance your stay. A bright and beautiful first floor room with private entrance. It has a king size bed and comfortable seating with a flat screen TV and ipod dock. You will also find an original tiled private bath. This room is named after yet another owner of the farm who, after the demise of her husband, ran the property as one of Manchester's first "tourist homes". The room is one of our most requested and looks out onto our beautiful gardens. It is adorned with country prints, some by the famed Fred Swan. A cozy and warm queen bedded fireplace lodge room with private bath and private entrance. 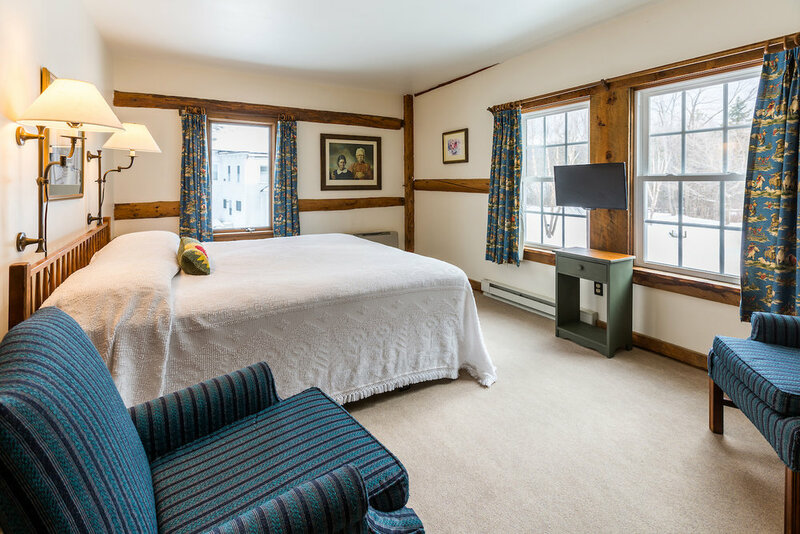 The room is named after the famed Lowell Lake Lodge that existed in the early 1900s in Londonderry, Vermont. Newly renovated guest room with 2 double beds, private bath and private entrance. 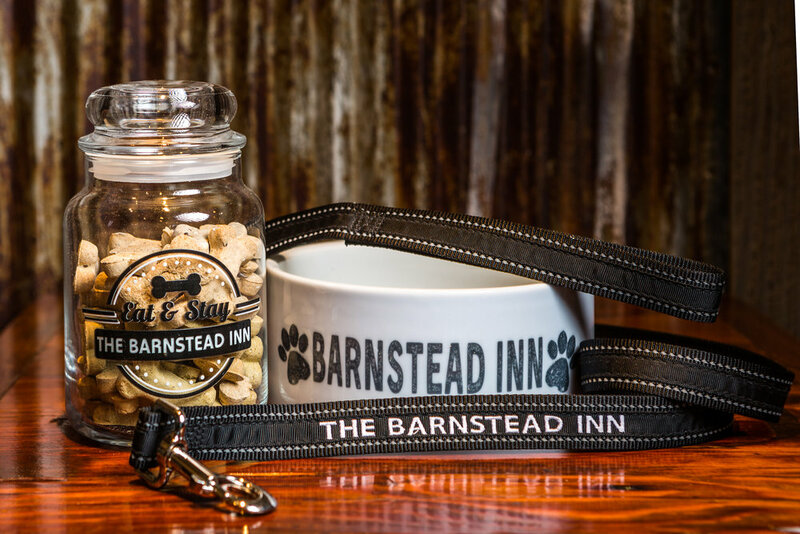 Named for the Historical Town of Dorset ( take a left out of our driveway ). Dorset was pivotal during the Revolutionary war and is also the home to some of the oldest the marble quarries in the country, which provided the marble for the New York City Library. J.B. Hollister, an original owner of the farm that is now this Inn, was also an agent for the Vermont Italian Marble Company. Booked with room 12- Norman Rockwell King Suite, it would serve as a 2 bedroom, private unit. NOTE: This room is located above our tavern. 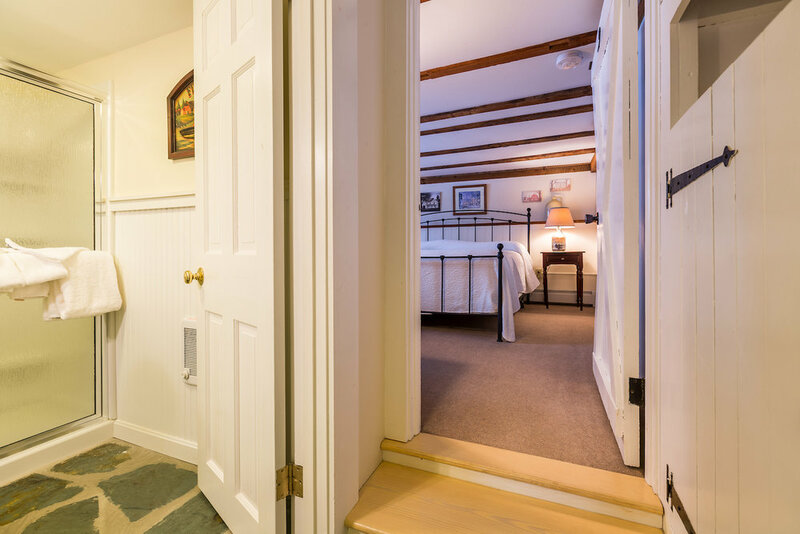 A queen bedded room with private bath named for Thomas Chittenden, Vermont's first Governor. He was a resident of Arlington during the Revolution and from 1779-1787, when his home was considered "The Governor's Mansion". A King bedroom with private bath. Honoring Battalion surgeon Capt. James Fisher, son of Dorothy Canfield Fisher of Arlington, Vermont, wounded in the attack at Cabanatuan, The Philippines on 30 January 1945. Captain Fisher succumbed one day later from his wounds and is buried at Manila National Cemetery. A king bedroom with private bath facing the 3,848-foot majestic Mount Equinox, the highest peak in the Taconic Range and home to the Skyline Drive. A room with 2 double beds with a private bath that looks out onto the lawn and gardens. Named for the first Capital of Vermont. The Batten Kill, world-famous trout fishing stream, flows through Arlington on its way to the Hudson River. Vermont's State Seal tree stood in Arlington until the Seventies; a piece of that tree is housed in the town library. A queen bedded room on the second floor with private bath that looks down on the farm once owned by Captain J. B. Hollister. A queen bedded room with private tiled bath on the second floor. It looks out to the famous Green Mountains of Vermont! A King bedded room with flat screen TV and beautiful tiled bath on the second floor. Named for our 30th President, Calvin Coolidge, ( "Ol’ silent Cal" ), whose homestead still stands a short drive from the Inn. This is a great king bedded room on the second floor with private bath. From the windows of this room you can check the snow conditions at Bromley Mountain. It is named after a local family, The Bromleys, of which our children are descended.